The top signifier that you are in the Everest region is not the prayer flags strewn at every possible nook, or the cryptic looking mane stones with Buddhist chants sculpted on their face. It is, instead, upon hearing and asking the question, ‘How high are we?’—with recurring frequency and bated breath—that you know that the mountains have surely crept in you. A trek to the most popular trekking route in Nepal will make you traverse through deep valleys, precariously maneuver glaciers, and climb steep trails along with donkeys, yaks, and horses. Starting from 2,860 m (Lukla), the trek will take you anywhere up to the altitude of 5,545 m (Kalapathar), or right to the top of the roof of the world at 8,848 m (Mt. Everest). Once separated from the rest of the world due to its remoteness, Khumbu Valley was not called ‘the hidden valley’ for no reason. The fertile basins made by the Dudh Koshi River that cuts in and out of the valley, and the meadows in the upper part of the region, rests as a buffer zone to the mountains that lie beyond. Mythologically known as Beyul, or the ‘blessed valley’, this area, secluded from most outside interventions, was the perfect refuge to those fleeing war, famine, and other calamities. Early inhabitants of the region, which we now know as the Sherpas, share common heritage with the Tibetans, and their culture remains unfazed even after the region was opened for visitors during the 1960s. Several decades later, the region has become one of the most organized trekking routes in Nepal, and the flagship trek to the Himalayas. The 62 km stretch from Lukla to Everest Base Camp is dotted with charming teahouses and lodges that range from utilitarian to indulgent. More diverse is the landscape of the region. Lukla, Phakding, Namche, Tengboche, and Pangboche unfold their many verdant mountains and the white-washed peaks beyond it in dramatic fashion. The roar of the Dudh Koshi River far below never really settles down, which only gets heightened during the quietness of the region’s calm evenings. This lower region is also more densely populated than the upper regions, and has a charming languidness to the pace of its life that comes from the genuine affability of the region’s inhabitants. As you go past Tengboche and reach Dingboche via the sleepy village of Somare, the vegetation gets sparser to give way to grassland and shrubs. Nonetheless, the views never get dull, as the vistas in front and all around you widen as you move more close to Everest. In Pheriche Valley, the pale green pasture of its grassland is contrasted by the clear whites of its frozen rivulets. Like little nuggets of time capsule frozen in time, these rivulets remain in their icy state all winter. As you go further up and leave Pheriche to go to Gorakshep via Thukla and Lobuche, the landscape turns arid. The air turns thinner as you walk past the heaping mass of stones, ice, and sharp cliffs, and a sense of remoteness slowly starts enveloping. Fortunately, this also means that you are literally a stone’s throw away from the massifs that border Tibet. 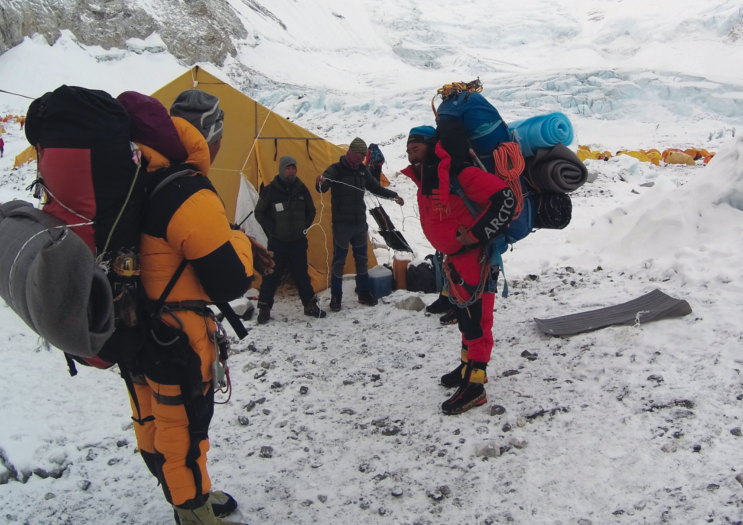 At Gorakshep, the Khumbu icefall near the base camp turns into an inviting hue of chocolate mint ice cream. Like a sprinkling of assorted nuts over a heap of frozen dessert, rocks and boulders thinly layer entire cliffs worth of ice underneath. Everest beckons its visitors like a demigod demanding to be worshipped and be awestruck, as you realize that you have your own mountains to conquer. Alternatively, from Namche Bazaar (3,440 m) one can trek to the villages of Dole (3,620 m), Macchermo (4,440 m), and then reach Gokyo (4,750 m). If the trek before was not lung-busting enough, the following day entails a strenuous ascent to the lake Gokyo Ri and then a trek back to Gokyo. You can return to Namche Bazaar via Phortse (3,860 m), and then head back to Kathmandu. For those who want a more relaxing trek, Hotel Everest View, Syangboche, (015011647) offers short treks, with the hotel as the central point, that offers the same stunning vistas without breaking much sweat, and includes a journey to and from Kathmandu on a helicopter, which lands at the nearby Syangboche airstrip. Many short trips to the neighboring villages like Khumjung (3,970 m), Tengboche (3,867 m), and the touristy Namche Bazaar, just below, can be planned. Mera Lodge, Lukla (038550002; price on request) can accommodate several large groups comfortably in many of its cozy rooms. While returning, share a tale or two with fellow travelers in The Wave’s Pub downstairs on the same building. Chomo Guest House, Chaurikharka: (9842847756; price on request) has rooms with double beds and delicious home cooked meals. Hotel Snow Land, Namche Bazaar: (038540333; price on request) has rooms with crisp white sheets, attached bathrooms, and power inlets for your electronics. Hot shower is available on request. 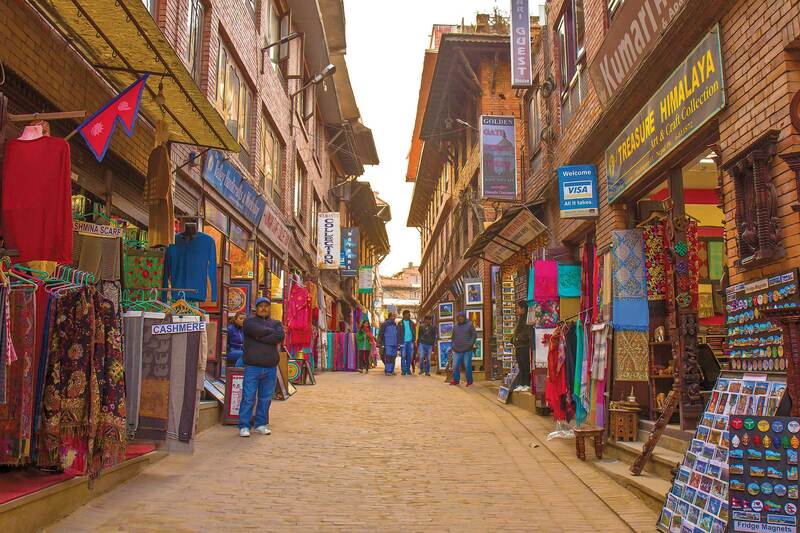 While at Namche Bazaar, try the delicious hot chocolate at Trekaway Coffee, main bazaar (Rs.200 per cup). If hot beverages do not warm you enough, Liquid Bar, main bazaar (9803031856; documentary screenings daily) has many alcoholic options including Jagerbomb! Or, drink like a local, and have a hot mug of Mustang Coffee, a tasty concoction of rum, hot caramel, coffee, and butter. 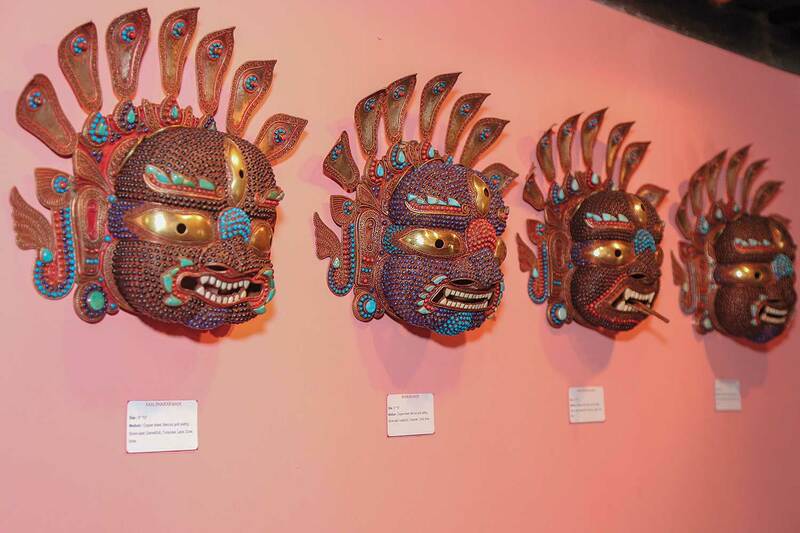 Sagarmatha National Park Museum, Namche Bazaar, curates many artifacts and information on the region’s geography and culture. On a clear day, the museum can serve as a vantage point with glistening peaks in almost all directions. 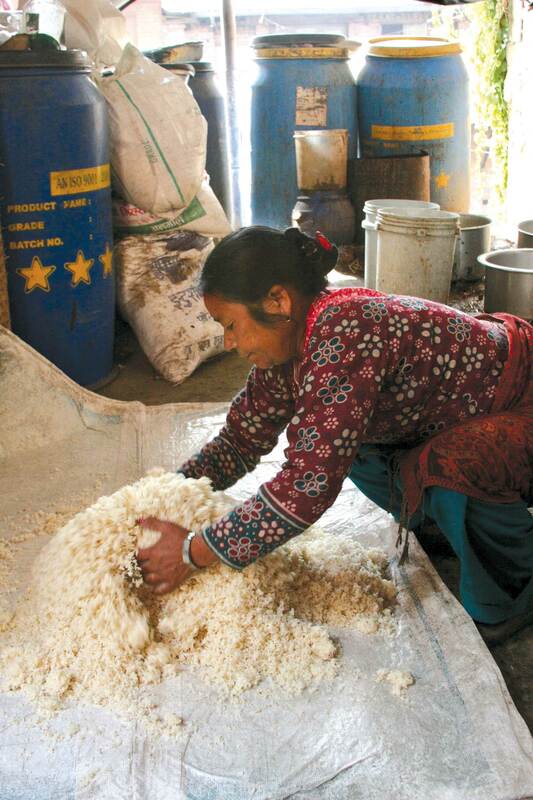 Sherpa Culture Museum, Namche Bazaar, gives you an even more intimate way to understand the Sherpa culture. Accommodations vary, as you hike to different places. If you want a more standardized experience, stay at one of the lodges of Yeti Mountain Home (www.yetimountainhome.com; various prices) which has six properties with many modern amenities across the trail. Our trip was organized by Royal Mountain Travel, Lal Durbar Marg (014444376 www.royalmt.com.np) which specializes in tour packages across the Himalayas, and beyond borders, to Tibet and Bhutan. On field, their many professional guides are either your friends, guardians, or disciplinarians (only if need be), or just really good company for quick banters or a heated discussion on politics. With deep knowledge of the terrain, and more importantly, the far-reaching socio-economic dynamics of the region, our trip to the Khumbu was made less strenuous and more fruitful with Royal Mountain Travel’s expert captainship on field.